Two (2) Diamond Bands. 1st item: 14K white gold diamond wedding band containing five 3.7mm round brilliant diamonds, SI2/K-L with a total weight of approximately .90 ct. Ring size: 6.5 large. 4.7 grams. 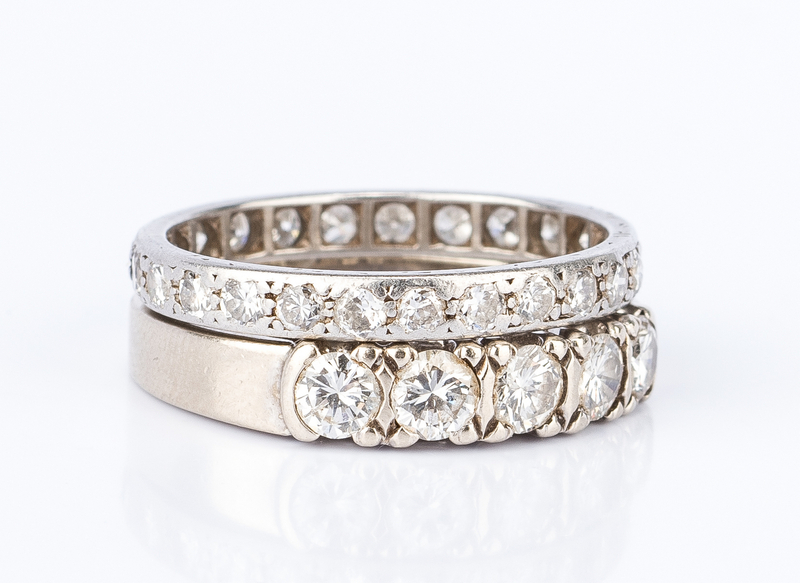 2nd item: Platinum diamond eternity band containing twenty-five (25) 2.2mm full-cut round diamonds, VS/I-J with total weight of approximately 1.00 ct. Ring size: 8. 2.8 grams. Provenance: Estate of Martha Lyman, Dayton, TN. 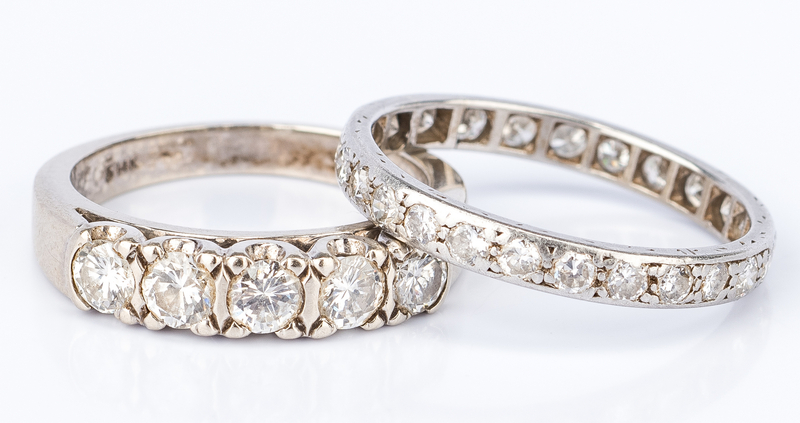 CONDITION: Some surface wear on both ring mountings.